Did you know that farmers have used fertilisers on their crops for thousands of years? In fact Egyptians, Romans, Babylonians, and early Germans are all recorded as using minerals and or manure to increase the productivity of their farms. But have you ever wondered how plants actually take up the fertiliser that you throw around on the soil? After all the fertiliser is an actual solid mostly, so how does the plant use it? Plus, is there a reason for being told to water in the fertiliser after you apply it? Let’s find out . 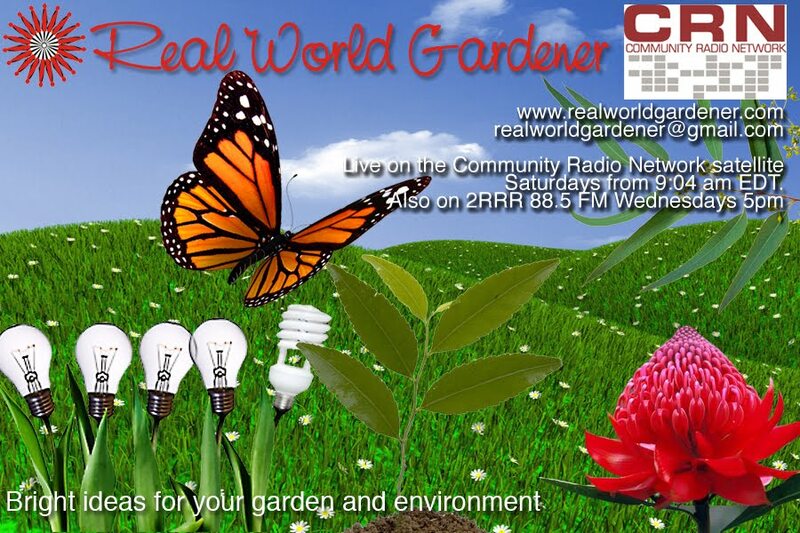 I'm talking with Penny Smith, horticultural scientist who specializes in soil science. There are two groups of fertilisers: chemical based and organic based. 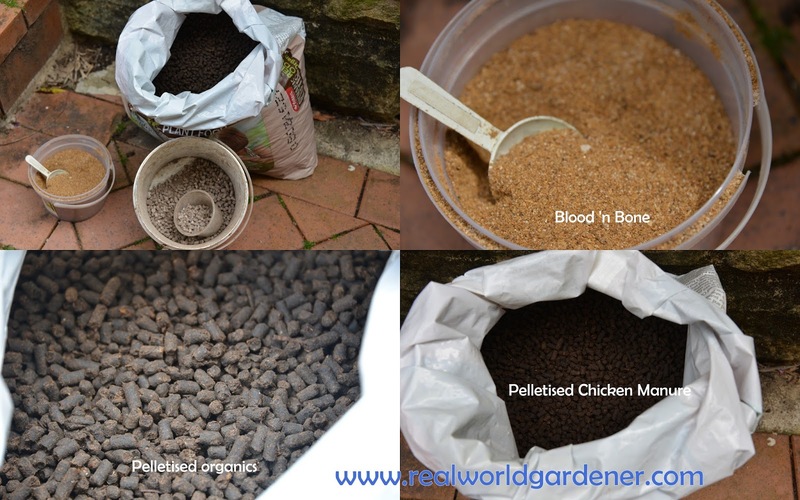 Organic fertilisers can be anything from processed green waste, to pelletised chicken manure and cow manure. Pro's of organic fertilisers is that they contribute to a better soil structure in general. Inorganic fertilisers are chemical based. However, they need to be broken down by soil microbes before being available to the plant. The pros of inorganics is that they are immediately available to the plant without the middle man soil microbes. Fertilisers are after all minerals that must first dissolve in water so that the plant can absorb them through their roots. So in effect, the plant has to be able to sort of drink up the fertiliser, before it gets transported up the stems and leaves. The Lettuce (Lactuca sativa) belongs to the daisy or Asteraceae.family. Lettuce is great in salads, tacos, hamburgers, need I say more! You might think it too boring to be a hero, but the earliest mention of lettuce in history is a carving on an Egyptian temple. Did you know that Lettuce was considered an aphrodisiac in Egypt? Not only that but ancient Greeks used lettuce as a medicinal plant to induce sleep? So where did the first lettuce grow? It’s thought to have started in the wild as a prickly lettuce, found as a weed in the Mediterranean. Nothing beats the freshness of home grown lettuce but why should you grow heirloom varieties.? Exceptional taste is the No. 1 reason many gardeners mention for choosing heirloom varieties. Many heirloom vegetables have been saved for decades and even centuries because they are the best performers in home and market gardens. Being transported to markets isn’t a main concern so taste always came first. If you’re into saving seed, heirloom varieties are the only ones that produce viable seed. Hybrid varieties only produce seed from one of the parent or sometimes the seed is sterile. By the way, just how old does a cultivar have to be, to be an heirloom ? So good reasons to grow heirloom veggies, but why grow heirloom lettuce? What you mightn’t realise is that the flavour is lost in as little as 24 hours, and there’s no way supermarket lettuce is only 24 hours old. Lettuce can be planted all year round in all areas of Australia. Having said that, in Arid districts, it might be a good idea to avoid the hottest months of the year, and in cool temperate districts, you might want to grow your lettuce in a greenhouse or undercover somewhere during winter. But hang on, not all kinds of lettuce are created alike! For all areas, planting or sowing in the spring and summer months, should only be the loose leaf types of lettuce. Summer is just too warm for the hearting types. The most heat tolerant kinds of lettuce are the open leafed varieties (Looseleaf). All the pretty fancy lettuces you see in the shops, the frilly and curly varieties, they are your lettuce varieties you need to grow. What’s the best way to grow tasty lettuce? Lettuces taste best when they are grown as fast as possible and for that they need lots of water and plant food. After that, Lettuces need good soil that’s light, free draining and rich in organic matter. Ideally your soil should hold lots of water and lots of nitrogen and other nutrients. Sandy soils need help from your compost bin or worm farm. If you have clay soils, growing lettuce shouldn’t be a problem, as is growing them in pots. Lettuce has shallow roots, so they dry out easily. You must keep up a steady supply of water because any set back will at least, make them tough and bitter, at worst it will cause them to bolt to seed straight away without making any leaves for you! So make sure they never get stressed (e.g. by forgetting to water them). To sow lettuce seed, either spread the seed very thinly along a row and cover lightly with soil, or rake it in. For all you balcony gardeners, any largish pot will do for 3 or 4 lettuce seedlings. Lettuce seed is very fine so you’ll get a few clumps. Thin them out, you know the drill. If the weather warms up in your district and your soil sandy, you will need to water daily. Stick your finger in the soil if not sure. By the way, lettuce seed doesn’t germinate that well at soil temperatures over 250C. So if you are sowing it in a pot, keep the potting mix cool by putting it in light shade until the lettuce seed germinates. TIP:If your lettuce grows slowly even though you’re giving them plenty of water, then they need more plant food. 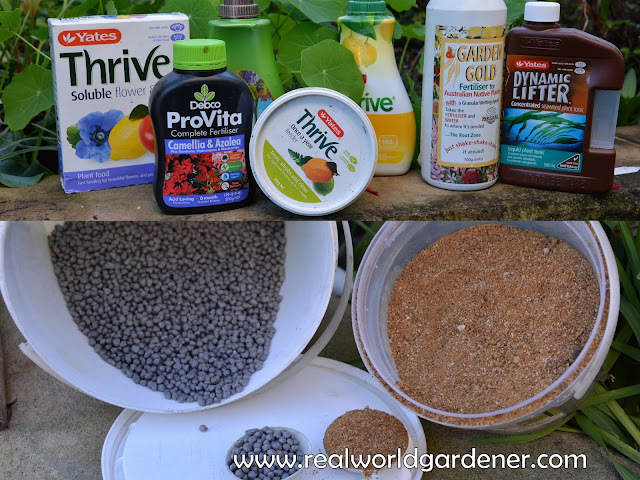 Did you add organic compost, manures or worm castings to the veggie bed before you sowed the seed? If you didn’t, then you need to supply extra nutrients, especially nitrogen. Some of the liquid fertilisers will do right now. Lettuce Freckles-yep it’s freckly and it’s a butter lettuce as is Lettuce Tennis Ball. Lettuce Amish Deer Tongue- Amazing two-in-one lettuce that can be cooked like spinach or used like lettuce, so you have a hot or cold vegetable to suit the season. Repeat harvest makes it a highly productive choice for space saving gardens. Lettuce Crispmint is an outstanding variety with excellent flavour and crisp, minty green leaves. 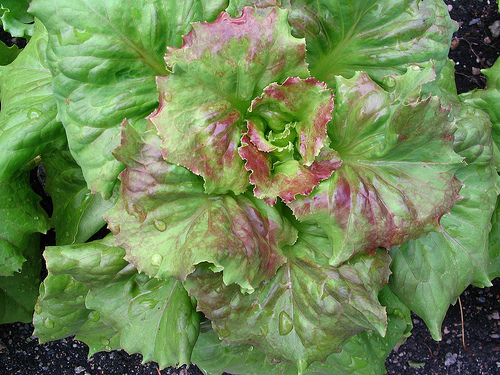 Seed Savers in the US have over 200 varieties of lettuce and rate this as one of their best. Lettuce Grandpa Admires, is another heirloom with a bit of history. In 1977, Chloe Lowry made this family heirloom available to the world. 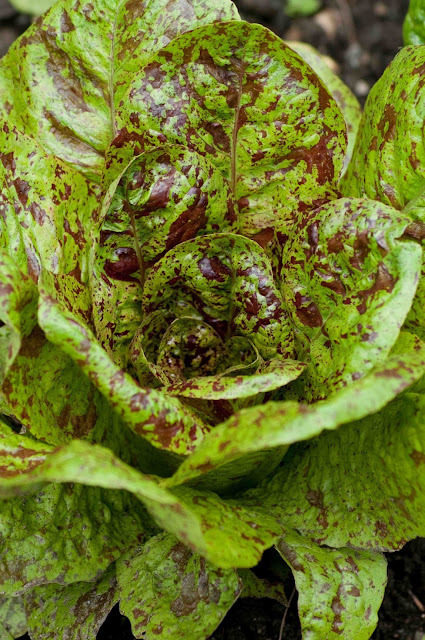 Named for her grandfather, an American Civil War veteran and custodian of this variety, Grandpa Admire's is a beautifully soft butter lettuce with bronze-tinged leaves. It’s one of the slowest to bolt, making it the best choice to grow for summer salads. Lettuce is very good for digestion and promotes good liver function. It can reduce the risk of heart attacks and is good for healthy eyesight. It has good levels of Vitamin C, beta-carotene and fibre. You won’t put on any weight eating Lettuce because most varieties have over 90% water and are extremely low in calories. Lettuce contain the sedative lactucarium (lactoo-caree um) which relaxes the nerves but not upsetting digestion. This series is about garden styles and today it’s contemporary styles. No, contemporary doesn’t mean astro turf, or concrete with a couple of plants in pots. Nor does it mean minimalist planting. It also doesn’t mean you have to have a modern or contemporary house to have one of these types of gardens. So what gives? Let’s find out what actually makes up a contemporary garden. Angular lines, plants with architectural qualities, low maintenance are all the aspects of modern or contemporary style of garden. Contemporary gardens usually have strong structural lines in their shape, they are used to make a statement or to be a focal point in the outdoor area. They will vary in size and shape but the one thing all have in common is they use plants with strong form. These plants may be short and spreading or tall and narrow but they will definitely stand out. So if you like architectural plants such as Draceanas and Yuccas, then maybe that’s the sort of garden you should plan. 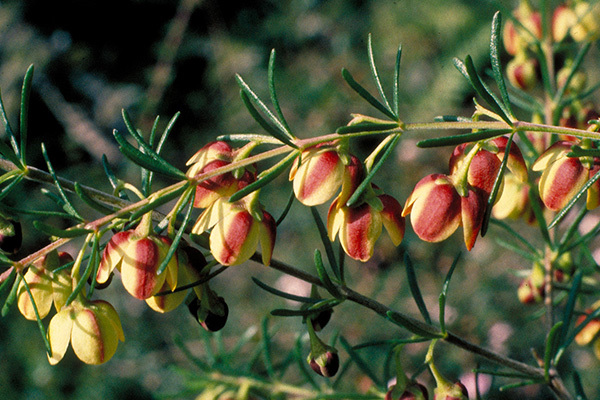 This plant, Boronia megastigma or Brown Boronia, has a bit of a reputation for dropping dead soon after you brought it home. Sure the intoxicating scent lured your to buy it in the first place and the mass of flowers seemed like a bouquet, ready made. So what are the tips for hanging on to this plant? Don’t let the plant dry out but don’t overwater it, especially in humid weather because this plant and many other Australian plants are prone to getting root rot fungus that loves moist warm soil. Yes the flowers stems are great cut for your vase. Brown Boronia doesn't always come in the colour brown. Lutea - yellow both internally and externally. Chandleri - burgundy-red on the outside, yellow inside. 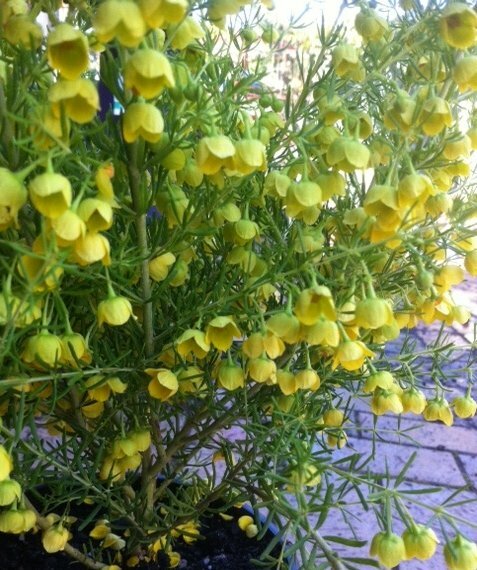 The biggest tip is don’t expect your Boronia plant to last for more than a couple of years. The other tip is dappled sunlight and not hot afternoon sun. Mulching with gravel seems to help prevent root rot, but most importantly, well drained soil is essential.